The property belongs to the late wine maker Vintner Robert Mondavi, who played a vital role in making the Napa valley a premier wine center in the world. It is one of the most prestigious estates of Napa valley and has been the center of attraction ever since May 2010 when it failed to draw $25M. The estate spreads in 56 acre region with 2 acres being utilized for growing grapes. The house on the state was build in 1984 by known California architect Cliff May and is spread in the area of 11,500 square foot. 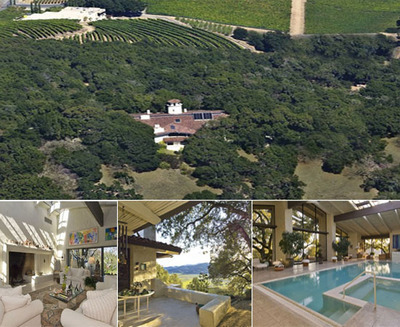 The estate bears 360 degrees view of Napa Valley. The cozy house has two bedrooms and five bathrooms that is fit for two people to live in luxuriously. The auction is conducted by the New York based real estate auction company Sheldon Good & Co.and will commence at a minimum bid of $13.9 million.